During the Iultcs XVIII Congress held in Nova Hamburgo on the 24-27 November 2015, Corichem presented an innovative new class of patented polymer fatliquors: Evocor. These innovative polymeric fatliquors can be used successfully for automobile interiors , footwear, leather, clothing and leather furniture. The high fixability and low COD results obtained allow the use of less than 20% of the product than traditional polymeric fatliquors, achieving a similar degree of softness. 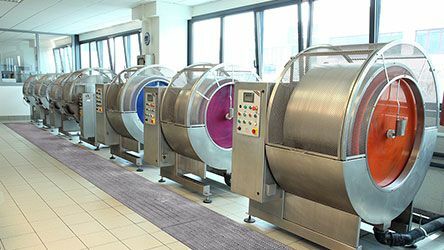 Evocor has proven to be very effective also in filling leathers, leading to a significant reduction of the total amount used of retanning agents. Corichem products for tanning and retanning phase. 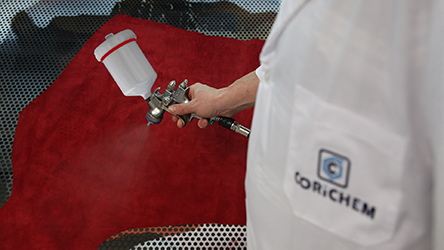 Corichem products for tanning processes in the finishing phase.